Project Partner: The Tokyo Cement Group. Project Collaborator: Wildlife Research and Conservation Trust. Funded By: The Tokyo Cement Group. Location: Passikudah (primary study site), and coastline of Sri Lanka. Current Status: Ongoing since 2016. Coral reefs are among the most diverse natural ecosystems on earth. Despite encompassing less than 1% of the oceans, they account for a quarter of all marine species. These invaluable ecosystems provide many important services in the form of coastal protection, food security, recreation and livelihoods; supporting extensive fisheries and tourism industries across many tropical coastal nations. However, coral reefs are increasingly threatened by human impacts, and many reefs have already been lost or are being degraded at an alarming rate. Coral reef degradation is expected to have significant long-term impacts on many coastal communities and economies. Coral bleaching and subsequent coral die-off related to increased temperatures has become a major threat to coral reef ecosystems. Identifying reef habitats and coral species that are more tolerant of such stresses is therefore important in conserving overall coral reef diversity and biomass. Incorporating resilience parameters into adaptive management strategies is now considered an important aspect of Marine Protected Area management. 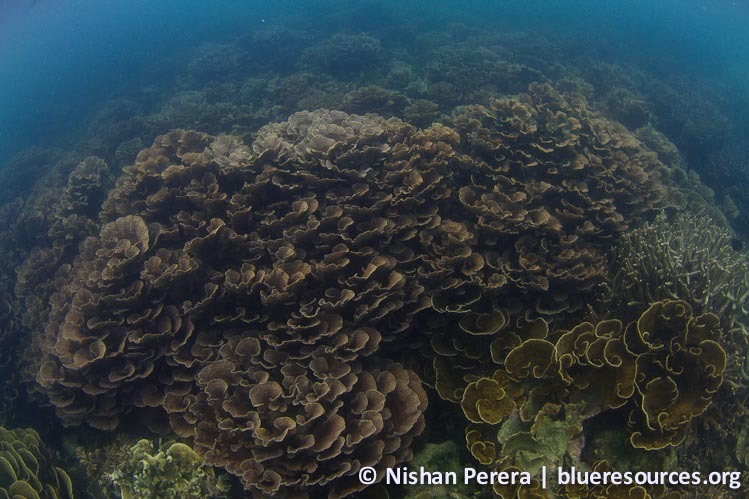 Coral reefs in Sri Lanka are threatened by both anthropogenic and natural impacts. Over harvesting and the use of destructive fishing methods (e.g. dynamite fishing), pollution, sedimentation, and coastal development have destroyed many reefs and severely reduced reef associated biomass. Many reefs in Sri Lanka have also suffered mass coral mortality during major bleaching events in 1998 and 2016. There are also numerous gaps in the knowledge base on the ecology and functional diversity of coral reefs in Sri Lanka that often requires sustained, long-term research. In addition, management has been reactive and often static rather than predictive and adaptive. Blue Resources Trust in partnership with the Tokyo Cement Group and the Wildlife Research and Conservation and Trust is undertaking a multi-faceted project that aims to encompass long term research, reef rehabilitation, education and management. A primary objective of the project is to understand factors affecting resilience of coral reefs to coral bleaching and climate change. 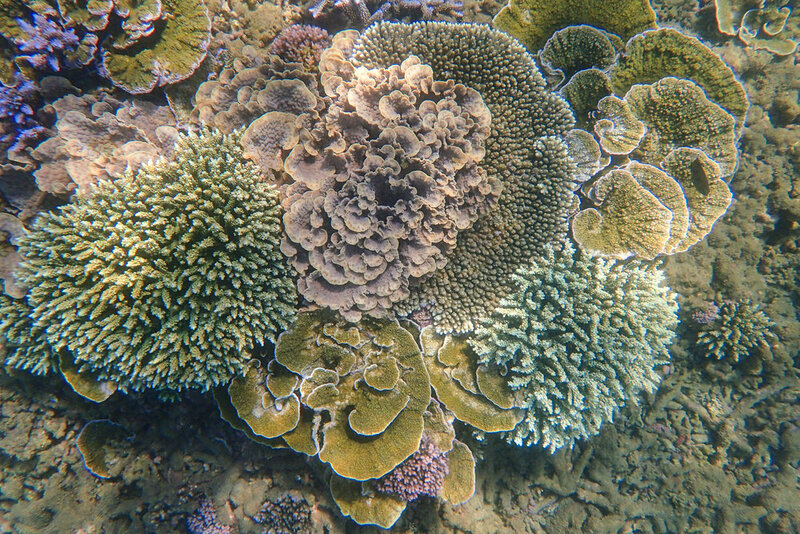 This includes studying ecological and physical processes that influence reef health by collecting data on, water temperature, salinity, tidal influence, coral cover and distribution patterns, coral recruitment, reef fish assemblages, food webs and adaptations of reef organisms to natural and human impacts. Long term monitoring will also enable a better understanding of community phase shifts on coral reefs and how they respond to natural and human stresses over a period of time. 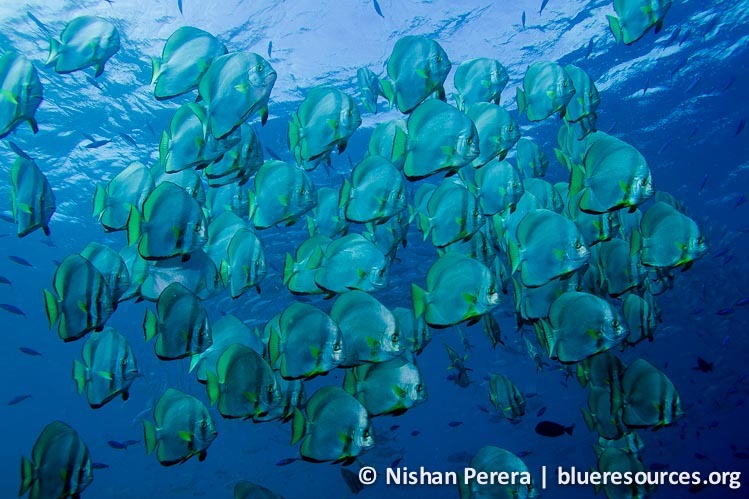 The research will also attempt to assess connectivity of habitats and habitat use by major reef fish groups. This information is essential in selecting areas for conservation and in developing adaptive management plans. It will also inform decision-making in selecting sites and species for coral reef rehabilitation efforts undertaken by the Tokyo Cement Group in partnership with the Wildlife Research and Conservation Trust. The project also seeks to promote local level conservation by encouraging stewardship and better practices by local fishing communities and tourist operators. Blue Resources Trust will also work together with the Tokyo Cement Group to promote education and awareness through workshops, lectures, educational materials and awareness campaigns. Awareness programs will especially aim to changing perceptions towards marine conservation among children and youth. Blue Resources Trust also hopes to promote capacity building in marine research in Sri Lanka by providing internship opportunities and support for student research to local universities.